See some of the top sights of Montenegro's coast when you're in port on this private tour that takes you from Kotor to Budva. 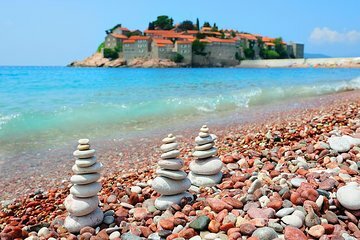 Explore Budva Old Town on your own and catch a view of Sveti Stefan, a tiny islet right off shore. Then return to Kotor to see its UNESCO-listed Old Town. This is not a guided experience; you will travel with a driver only.